Are you wasting time in your lab trying to homogenize your heart samples with inferior homogenizing equipment? 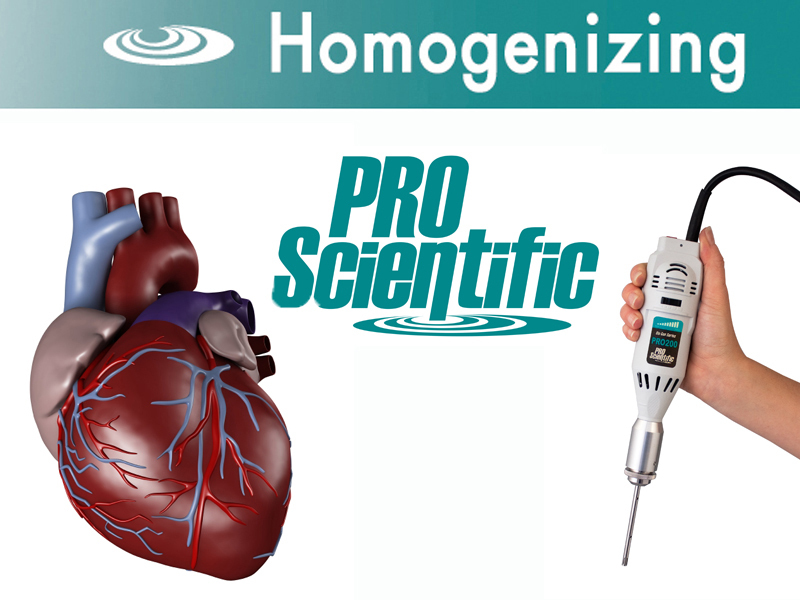 PRO Homogenizers are ideal for tough cardiac heart samples. PRO rotor-stator homogenizer generator probes are precision crafted with a very narrow clearance between the inner rotating shaft and outer tube/chamber. This allows for quick, effective and repetitive processing, meaning you will get the results you want each and every time. The variable speed of our homogenizers allows for the utmost control of your homogenization to ensure precise results. Regardless of which PRO homogenizer setup is selected, most homogenization can be completed in a matter of seconds which eliminates heat production and ensures the preservation of the sample. No special tubes or beads to continuously buy. Our multi-sample homogenizing systems such as the Multi-Gen 7XL, DPS-20 and Multi-Prep ensure sample purity by avoiding cross-contamination between samples.